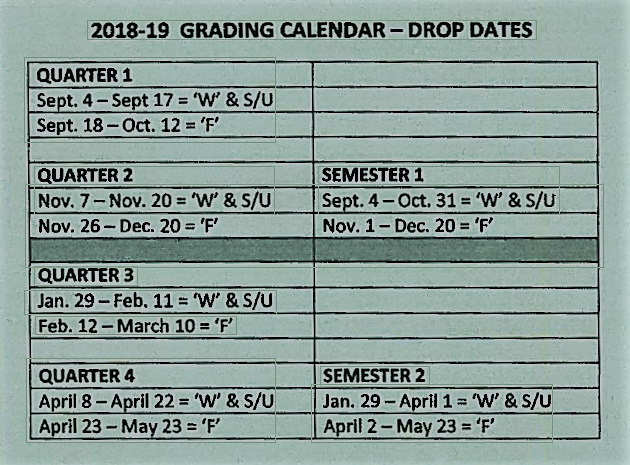 Occasionally students withdraw from a course before the end of the grading period and still remain enrolled at Northeast High School. When this occurs, an alternative grading policy will be used. The LPS policy for assigning grades of W (Withdrew) or F (Failure) is based on when the student withdraws from class.